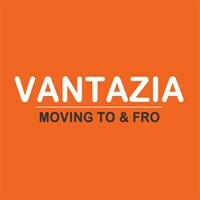 Vantazia Ltd - Removals/Storage based in Talke, Staffordshire. We pride ourselves on customer satisfaction, as well as an honest and professional service, working around your needs and requirements. We plan every aspect of each service with precision and care from start to finish with a smile! Whether it’s a full house removal, a single item or any other service you require, we can carry it out safely and efficiently. We use a Mercedes-Benz Sprinter Dropwell Luton van equipped with the necessary tools, straps and removal blankets to protect and secure your items in transit. We understand that moving can be a stressful process so rest assured Vantazia will handle the stress for you, achieving a gratifying and pleasant experience for our customers with great value for money. Local and nationwide we go the extra mile to suit your needs. Our single item collection and delivery service is the safe way to save you time and money. Let us know what it is, the pickup address and where the item going to then we will handle rest for you. Rather than spending the entire weekend on your hands and knees undertaking your furniture assembly why not call us and let us deal with it at a time that suits you. To help keep your business moving Vantazia offer a delivery service that suits you and your customers.